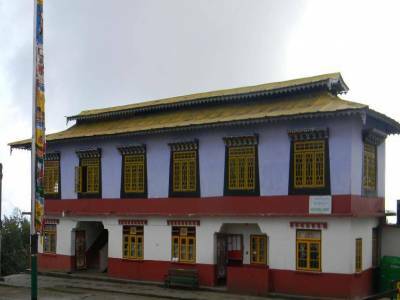 The Pemayangtse Gompa Monastery in Pelling is the World’s 2nd oldest Buddhist monastery. 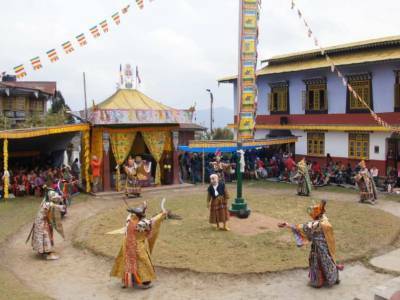 The Lhatsun Champo, one of the three Lamas of Yuksom, founded the monastery in 17th century – one of the most important gompa belonging to the Nyingmapa sect. 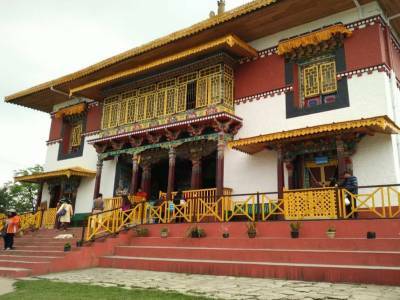 Pemayangtse means “perfect sublime lotus”, over 300-year-old monastery is situated on a hill top in the west district of Sikkim is at the beginning of the popular Dzongri trek route. Pelling is the nearest town from there. The monastery is located at a height of 6840 feet surrounded by majestic range of snowcapped mountains. The famous 7 level sculpture is amazing enough and the story of the efforts needed to create it is a wonder as well and had intricate woodwork on the beams, lattice windows and doors – it is very very pretty. The Photography is not allowed inside. The main prayer halls with colorful doors and windows have intricate Tibetans designs. There is an exquisite display of thangkas and murals. There are eight incarnations of Guru Rinpoche better known as guru Padmasambhava inside. The main statue of Padmasambahva seen here is in his wrathful form as Dorje Bhurpa Vjarakila with multiple heads and arms. Padmasambahva is revered more in Sikkim than Gautam Buddha because it was he who revived Buddhism in Tibet and spread the Tantric form or Vajrayana of Buddhism widely. The monastery has 2 storey built with the last one having a huge prayer wheel. The first floor had a vast number of antique Buddhist idols, painting and scrolls. 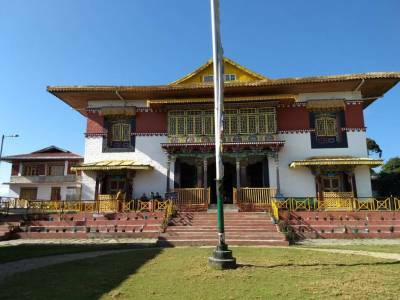 The top or 2nd floor has a seven tiered painted wooden structure depicting the heavenly abode of Guru Padmasambhava known as "Sanghthokpalri". It was carved out of a single wood by Dungzin Rimpoche and took five years to complete. There is a meditative solitude in and around this place. Pemayangtse Gompa Monastery is about 2 KM from the Pelling. 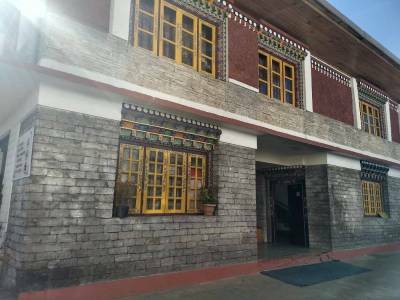 Get quick answers from travelers who visit to Pemayangtse Monastery.